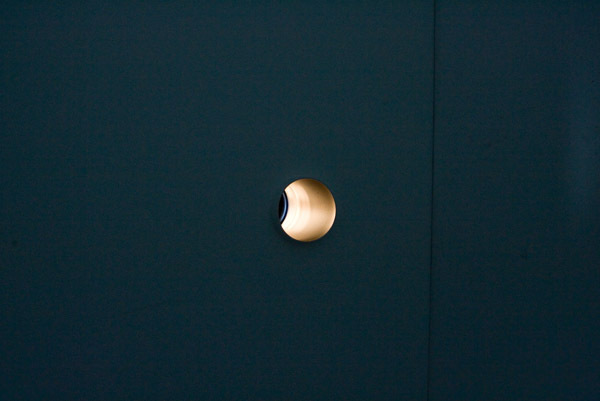 As the viewer entered artist Studio 122 they were presented with various cylindrical viewing holes. 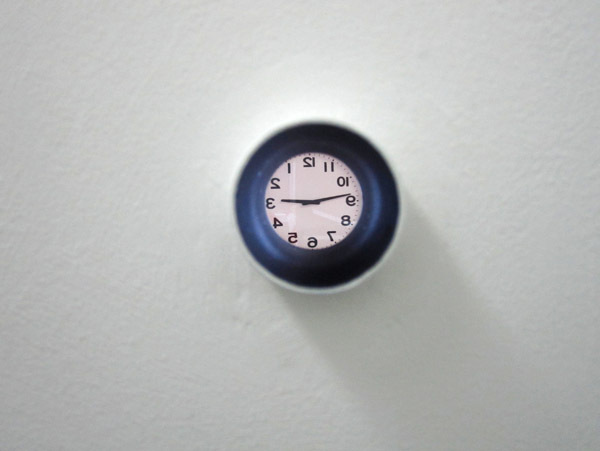 6 in total, 3 different sizes and all at different viewing heights. 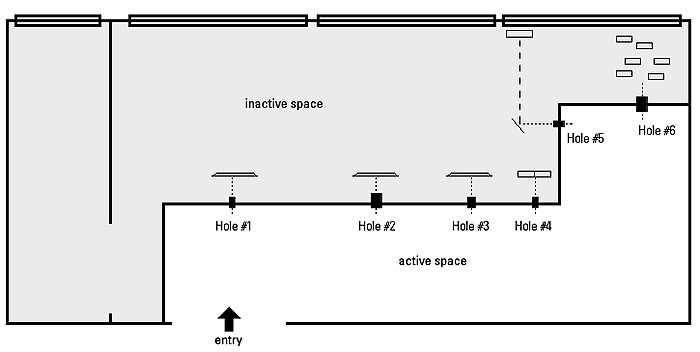 Each hole had something different to experience. 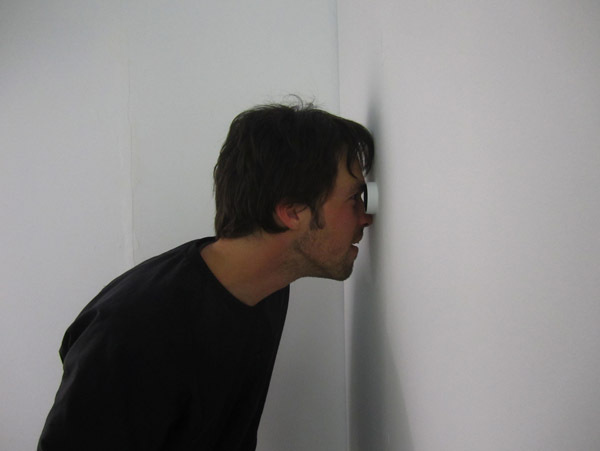 There were videos, installations, and an actual live studio space to view. Some of the holes had sound which could be heard. 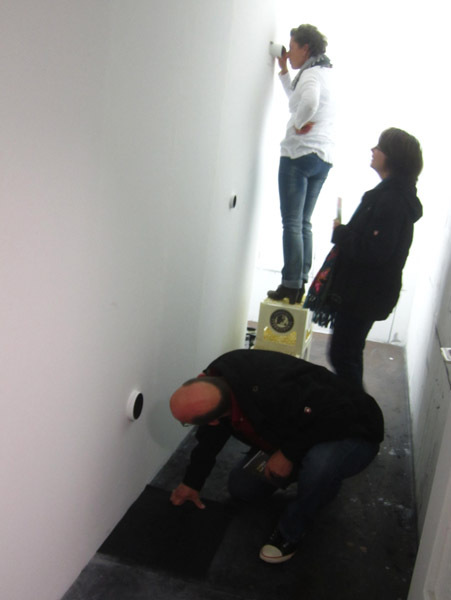 The space to view the holes was a constructed space within the actual studio with walls from floor to ceiling. 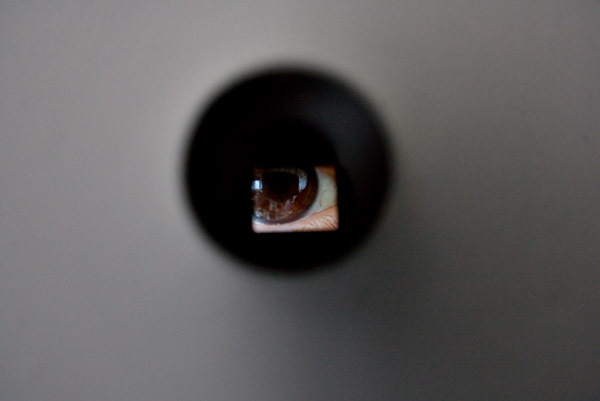 Viewers were technically in the studio but were confined to a closed and cramped space leaving them with little else to do but investigate what was in the holes. 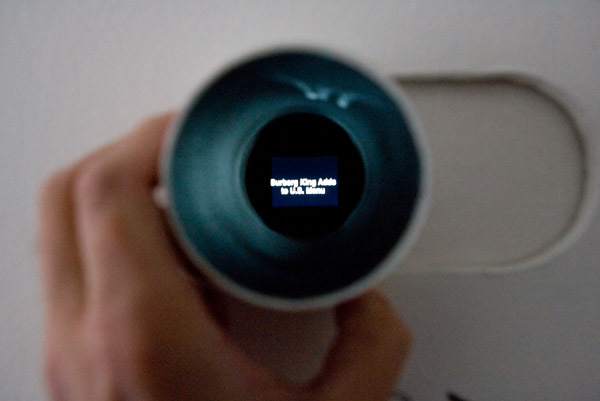 Hole #1 - Seeing Eye, Single channel video seen through 5cm viewing hole, (Installation view). View Seeing Eye video here. 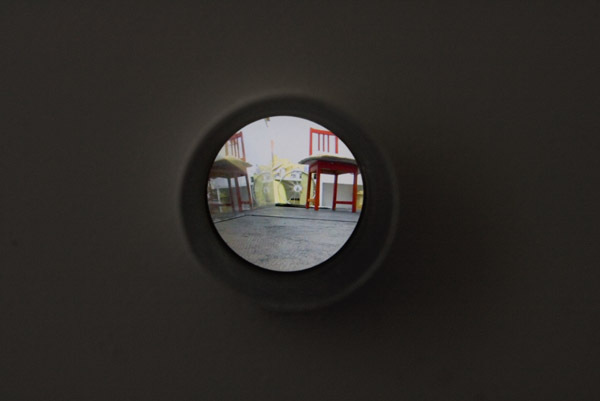 Hole #2 - Studio Floor, Single channel video seen through 10cm viewing hole, (Installation view). 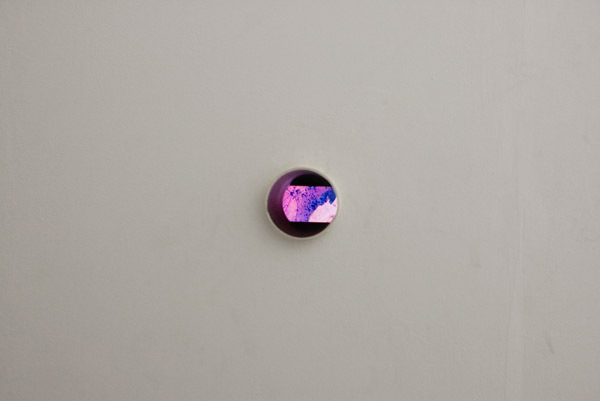 Hole #6 - Bild Perfekt, Series of rotating kinetic postcards seen through 10cm viewing hole, (Installation view). 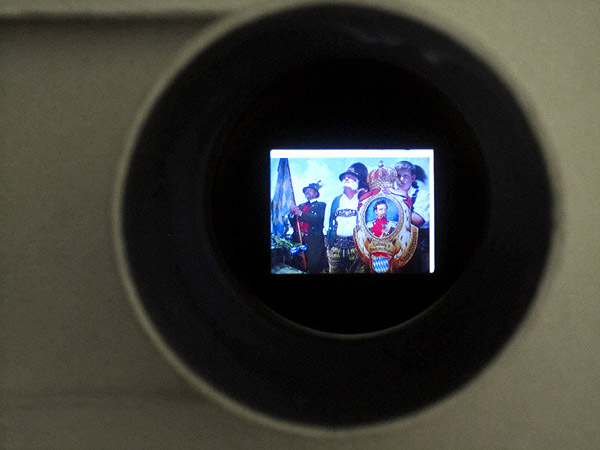 Hole #3 - Process, Single channel video seen through 8cm viewing hole, (Installation view). 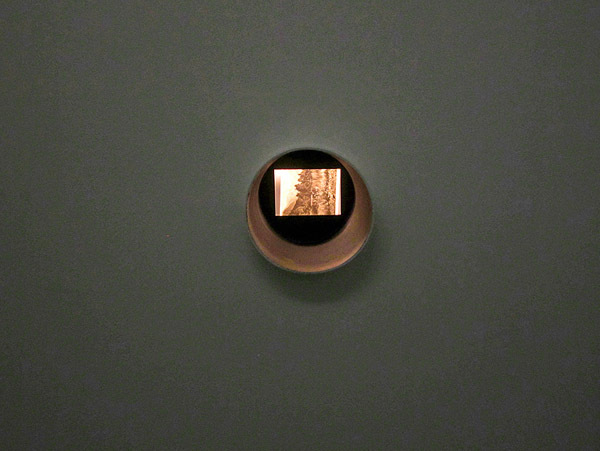 Hole #4 - Words & Images, Custom built sliding peep hole with random news headlines and images from April 3rd.